Over 90 MWDs died in Afghanistan and Iraq from 2001 to 2013. The majority of those deaths were from gunshot wounds, explosions and heat-related stress. A military working dog trauma registry would be crucial to saving the lives of these heroes, according to a registry strategic planning group that includes representatives from the Department of Defense's Military Working Dog Veterinary Service. The registry would contain information about MWD injuries and deaths, which would help improve training for veterinarians and the dogs' handlers. It could lead to better protection gear for the dogs and more effective treatments for their injuries. A trauma registry would cost about $300,000 to set up and about $115,000 each year to maintain. The Department of Defense has a budget of over $600 billion, so this seems like a relatively tiny price to pay to help save the lives of these dogs. 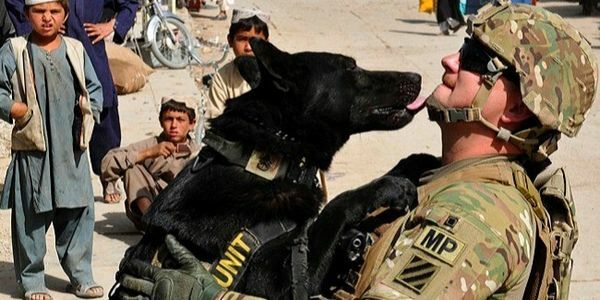 Please sign and share this petition urging the Department of Defense to fund a military working dog trauma registry to help prevent the deaths of these four-legged heroes.